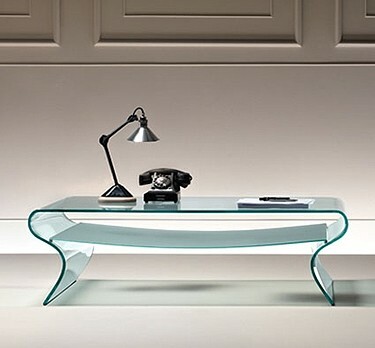 Coffee table in 10mm or 12mm thick curved glass (transparent or extra clear). 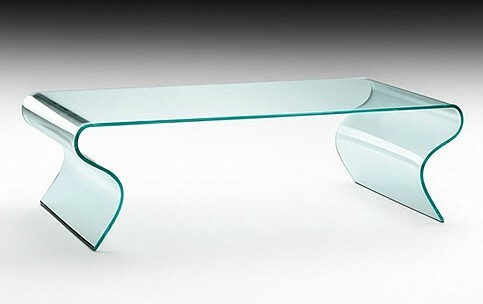 Available with or without shelf (6mm thick acid-etched curved glass). Can also be made with an extra clear glass shelf, please contact us for pricing.